There is a dilemma happening now in the wine regions of America, particularly in vineyards of California and the Northwest. The trouble finding labor to work the vines has been a struggle for some time, as immigration concerns have made the ability to obtain work permits for laborers difficult for some. But now vintners are facing the additional obstacle of labor shortages due to the legalization of cannabis (the preferred term in the marijuana industry) in Washington, Oregon, and California. What will the legalization of weed do to wine in America? I spent last week in Napa and Sonoma, tasting as the guest of premium wineries throughout, with the 2017 vintage a hot topic for all. Though social, and remaining off-the-record, one constant discussion amongst these wineries lies in the concern that once the grapes are ripe, there will be no one available to pick them. 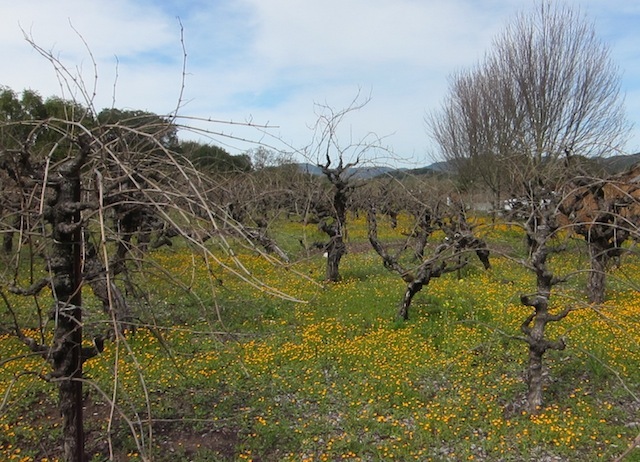 Some vineyard workers are employed full-time for management companies and large wineries throughout the year, pruning, trellising, green harvesting, etc. However, the majority of the assistance needed to complete the manual harvest that premium properties utilize comes from part-time help, employed at an hourly wage for the season. This work is tiresome, back breaking, and exhaustive, with long hours throughout the day and night. With recent legalization, there is a tremendous growth in the amount of cannabis being planted and produced near many prized wine regions, as terroir affects the flavor in weed as in wine, with marijuana ripening late summer/autumn, like wine grapes. With this, agricultural workers are being lured by the pot industry to pick their easy-to-harvest plant for a higher hourly wage, often $5+ an hour. In Washington State’s first two years of cannabis legalization over $1 billion in sales from recreational users was generated, and over $300 million in excise tax for Washington’s government. For the United States as a whole New Frontier Data estimates the revenue from cannabis sales to exceed $24 billion by 2025. In 2015, before recreational sales in California were legal, and the state only allowed medical sales, marijuana revenue exceeded $2.7 billion. 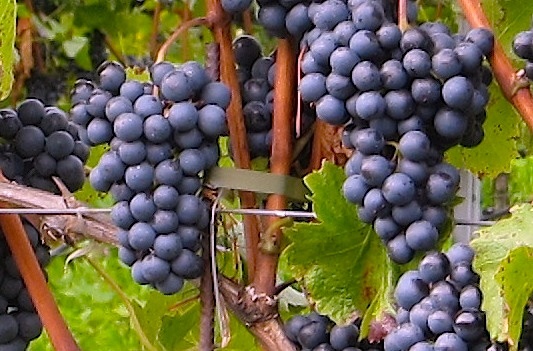 The result for vintners, especially the small mom-and-pop grower, equals labor shortages. They are combatting the shift by offering a higher minimum wage, but even then there are no guarantees. Some wineries have experienced entire scheduled crews not showing, as they can go elsewhere for more money and easier work. High-quality machines that don’t bruise delicate fruit are employed by some American vintners for picking fruit. But, these machines can not harvest all vineyards, especially steep, sloping mountain and hillside vines. And, hand-picked fruit is considered to be the gold standard for premium wine production. Wineries are preparing for these higher minimum wages for the upcoming vintage to ensure their vines are picked. These price hikes will eventually trickle into the cost of your favorite bottles, especially those from the boutique, small production brands which rely on outside help to work their vines. Sadly, it would seem some wineries are unable to catch a break. Many struggled to get through the recent California drought and rebuild after the 6.0 earthquake that rattled Napa in 2014. The 2017 vintage has had challenges, most recently with extreme heat spikes. Thankfully, record amounts of rainfall this past spring have lifted the state out of their drought conditions. However, wineries now are facing the looming notion that healthy, ripe, luscious grapes may end up sitting on vines with no one there to harvest. This is a problem I never thought about but we are VERY aware of the labor shortages here in the Salinas Valley (salad bowl for the USA) and its not because of cannabis. Its because of the Ag worker Visa shortage (H2A) housing shortage (even more important) and last but not least, the fear of being deported. Interesting! I have considered this issue as I am both a frequent marijuana user and wine drinker. I gotta say, as much as I enjoy some wine, I will continue to choose weed over it all day, everyday, but it does make me wonder about the impact on the wine industry.